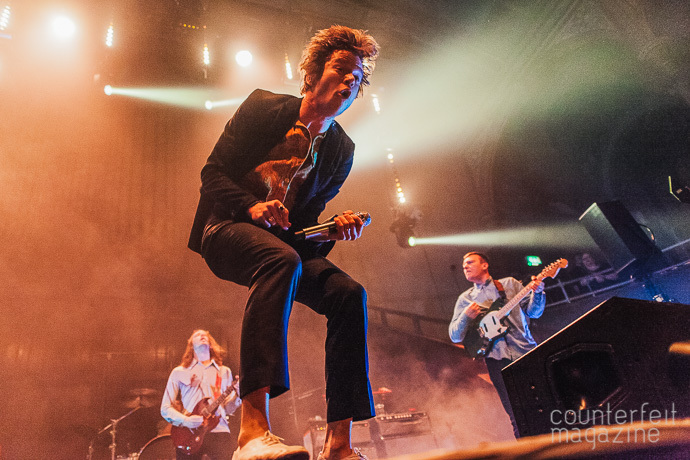 It’s been a little less than a year since Kentucky-natives Cage the Elephant were last in Manchester, when they played the O2 Ritz. A fellow gig-goer in the chilly Albert Hall queue told me he’d been dragged along to their Ritz show by some friends. He said that he’d entered the venue not knowing much about them, and left it as a passionate fan. 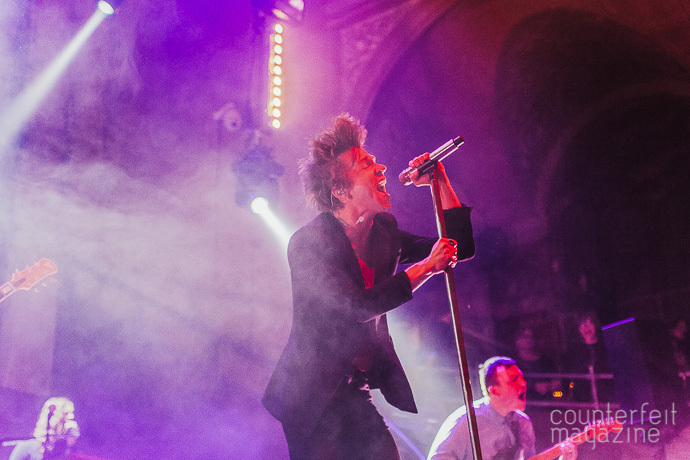 After tonight’s performance, it’d be hard to believe that anyone leaving the Albert Hall post-gig won’t also have been converted to Cage the Elephant’s own brand of blues-punk-indie rock. By the time the venue’s doors opened, the queue was already sprawling along the pavement past nearby bars and restaurants. 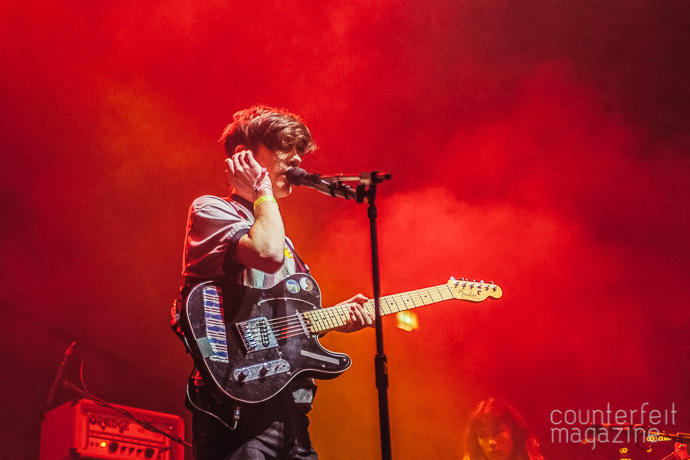 It meant Declan McKenna, the night’s first support, was playing to a nearly full venue. 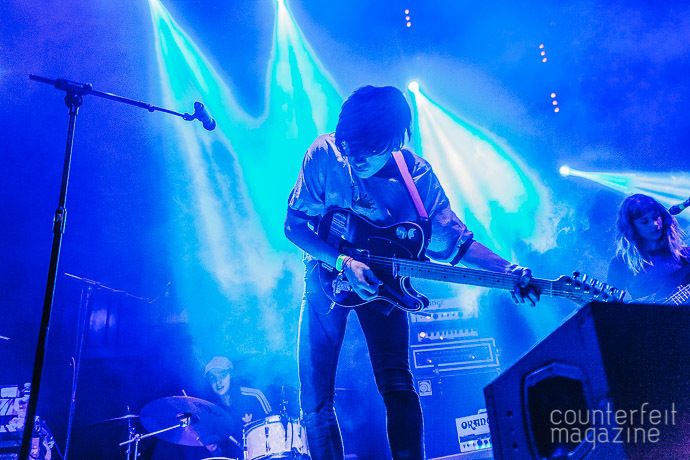 Despite his young age, the 18-year-old was totally at home on stage, and it quickly became apparent that his anthemic indie-pop has already won him a loyal following. Song introductions were met with adoring cheers and screams, especially debut single ‘Brazil’, which invited a huge singalong from the young crowd. 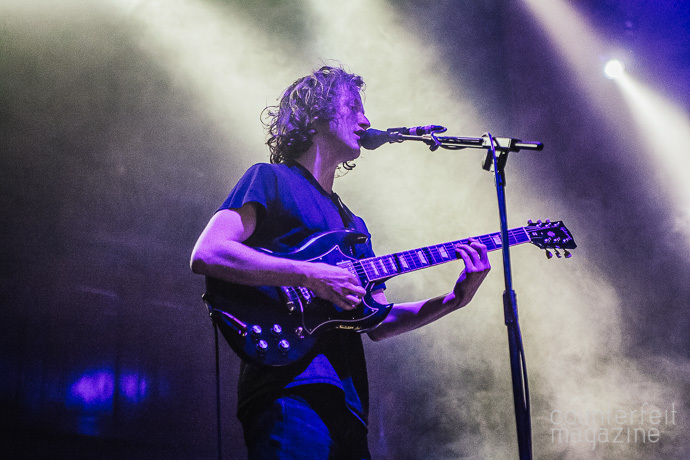 At times, McKenna’s songs were sprinkled with math rock drumbeats and upbeat synths, and as he and his band left the stage to a grunge-inflected instrumental, it was easy to see why he’s already won accolades such as Glastonbury’s Emerging Talent Competition. 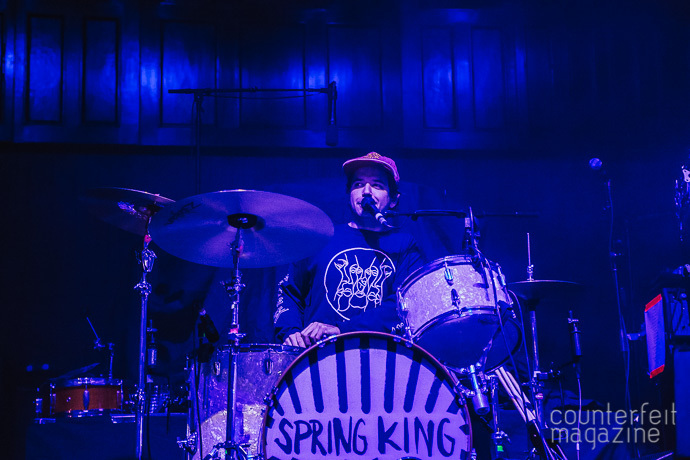 A quick turnaround meant Macclesfield four-piece Spring King took to the stage just fifteen minutes after McKenna had wrapped up his impressive set. Their rip-roaring post-punk style led to them squeezing eight songs into thirty brief minutes as tracks thundered on to the rhythm of lead vocalist and drummer Tarek Musa’s heavy drumbeats. 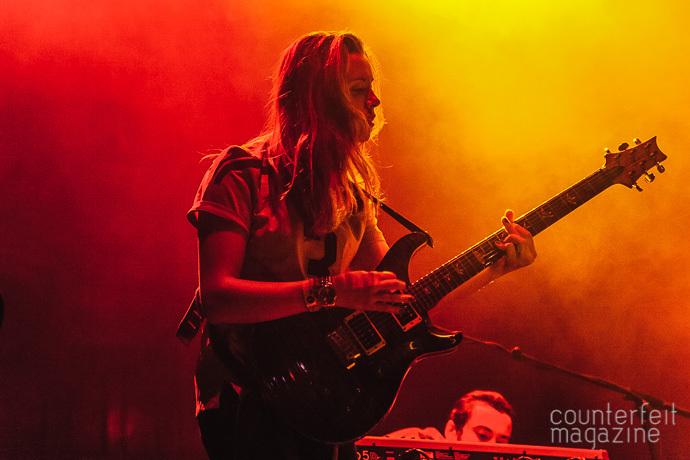 ‘Are we getting you ready for Cage the Elephant?’ shouted Musa in a brief break between songs. The huge cheer he received back suggested they were. ‘People from Manchester are like people from Kentucky’, announced Brad Shultz to the fervent crowd as Cage the Elephant triumphantly took to the stage. From the first note of opener ‘Cry Baby’ to the frenzied brilliance of closer ‘Teeth’, what was most remarkable about Cage the Elephant’s live show was how effortlessly they formed a relationship with the crowd. There’s a real talent in knowing when to speak to the audience and when to let the music do the talking. 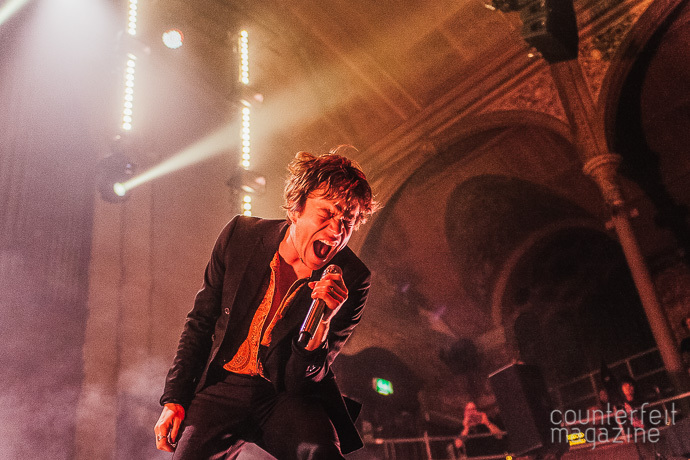 ‘We’re Cage the Elephant, let’s just keep it rolling’, decided lead singer Matt Shultz as ‘Cry Baby’ drew to a close and the snarl of fan favourite ‘In One Ear’ was met with a deafening cheer. As they began their encore, Brad returned to the stage with a bottle of champagne in reference to Oasis’ ‘Champagne Supernova’, before passing it out to the crowd. ‘Manchester is one of our favourite cities in the world. No joke’, he declared. The crowd replied with a chant of ‘Manchester, na na na’, which the band playfully jammed to. Their natural and impromptu showmanship created a unique performance, and the crowd understandably lapped it up all night. 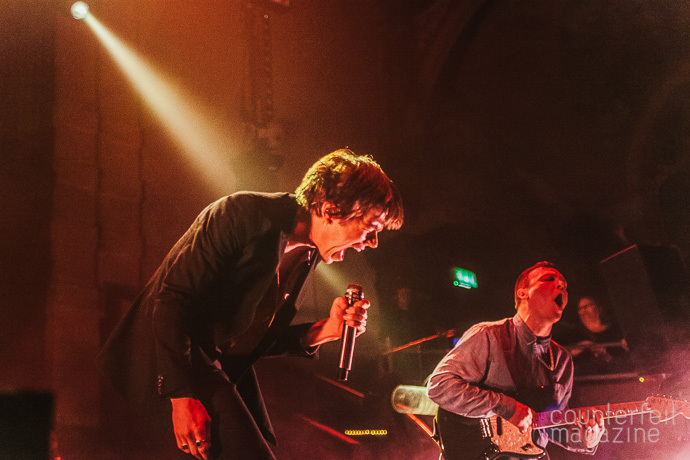 You’d be forgiven for thinking Cage the Elephant had dropped ‘Ain’t No Rest for the Wicked’, arguably their biggest hit, too early as it dramatically landed in the show around the halfway point, but one of the night’s biggest successes was the expertly crafted setlist. Tracks from each of their four albums effortlessly weaved into one another. The majority of the material came from their latest two LPs, with highlights from their first two albums sprinkled in alongside. Slower moments such as ‘Too Late to Say Goodbye’ and ‘Trouble’ were met with mass singalongs, while rowdier tracks led to ardent dancing, crowd-surfers, and adoring fans clambering over one another to get as close as they could to the stage. It’s clear that after over 10 years on the road, Cage the Elephant are completely comfortable when performing. 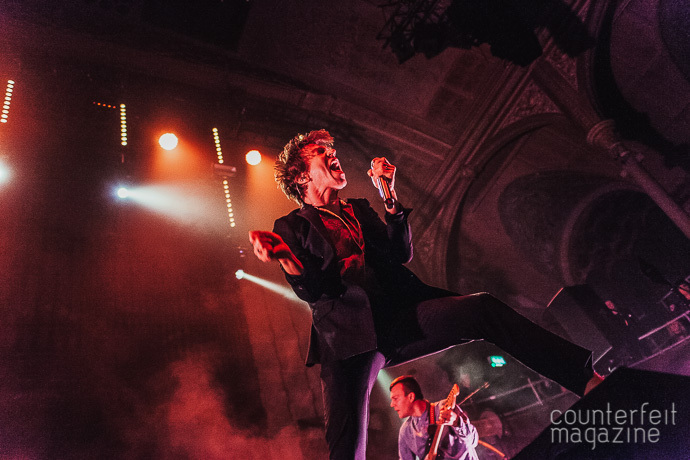 Having six touring members means the songs sound full and rich, and throughout the show Matt Shultz danced in his off-kilter, Mick Jagger-esque style. It was mesmerising to watch, and during set closer ‘Teeth’ he threw himself into the crowd. They lifted him up and he stood above them, Christ-like. Throughout the night the crowd had given themselves to the band, and there was something poetic in Matt giving himself back to them as the show came to a close. After such a tireless and comprehensive master class in rock ‘n’ roll, what strikes you as most impressive is that Cage the Elephant perform like this night after night. And what a treat for fans it is.